If you use Assemblies in Revit then this tool is for you. Using the View Sheet Generator allows you to select an assembly and create all the views and put them direct onto a sheet. The View Sheet Generator command automatically creates a set of views for a selected assembly. Multiple selections of several assemblies are also allowed. Select the assembly for which you need to generate a sheet and run the command. This will open a configuration dialog. • Views – Select which view(s) are to be created. • View Templates – Select which view template can be applied to the view. • Crop Box – Enable the crop boundary to be applied. • Sheet View – Select which sheet is to be used. • View/Sheet Name – Select what the view/sheet name is. • View Port – Which viewport tag to use. The Exclude from Schedules command is used to set as disable the parameter for filtering assembly components in schedules, while the Include in Schedules command is used to set as enable the parameter for filtering assembly components in schedules. The first use of the Exclude from Schedules/Include in Schedules command adds a parameter (G. Schedule) to all additional (structural connection) components. The G. Schedule parameter is available in the Data section of the Properties window for the selected components (structural connection), in the assembly edit mode. The Compute Volume command calculates the volume of an assembly with or without subcomponents. The command allows you to decide if some components should be included in the total volume of assembly. The first use of the Compute Volume command adds a parameter (G. Compute Volume) to all additional (Generic Model) components and adds the G. Volume parameter to the main element. The G. Compute Volume parameter contains a check box and can be set to True / False (the parameter it is set to True as default). For each component, you can set this parameter independently. The G. Compute Volume parameter is available in the Data section of the Properties window for the selected components, in the assembly edit mode. The value of the G. Volume parameter represents the total volume of the assembly's components, including the volume of the main element and the volumes of all the components when the G. Compute Volume parameter is set to True. The next use of the G. Volume parameter refreshes the total volume of the assemblies (Volume parameter value). Interested in watching the tutorial for 'View Sheet Generator'? 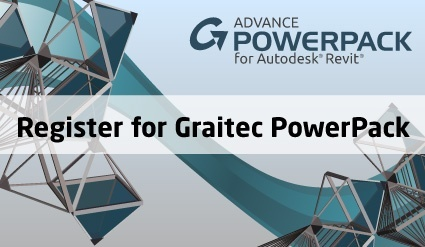 Then follow the link to go to our Graitec Advance PowerPack for Autodesk Revit 2016 blog post.